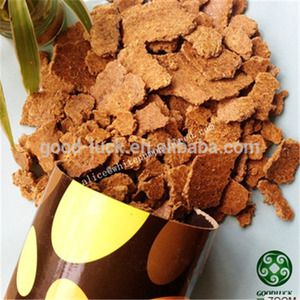 High quality Soya Bean Meal 46% for Animal Feed Dear sir/madam: Glad to meet you,we have been in animal feed and additives for more than 10 years,sincerely hope we can work together in the future. Products informations COA Crude Protein : 38% 42% 43% 46% Moisture&le;10% Crude Ash&le;30% Crude fat&le;10% Certificate:PONY SGS ISO-9001 Storage: Stored in a cool,ventilated and dry place Packing: 25kg & 50kg/bag; 20 Tons/20&rsquo;FCL Shelf Life 12 months Min. Order Quantity: 20Tons Supply Capacity: 2000Ton/month Port of Loading: TIANJIN & QINGDAO Fresh Stocks: NO Shipment Time: Within 15 days Payment Terms: T/T 50% + 50% & L/C at sight Origin : China Sample Availability : free samples to supply Main Export Markets: Asia,Europe,Africa,South America, Any questions from you are welcomed,and we will reply you in 24 hours. Soya Bean Meal For Chicken Feeding Dear sir/madam: Glad to meet you,we have been in animal feed and additives for more than 10 years,sincerely hope we can work together in the future. 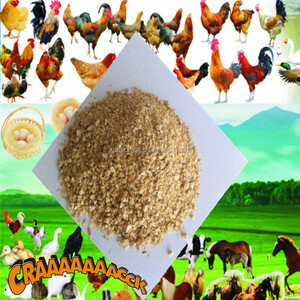 Products informations COA Crude Protein : 38% 42% 43% 46% Moisture&le;10% Crude Ash&le;30% Crude fat&le;10% Certificate:PONY SGS ISO-9001 Storage: Stored in a cool,ventilated and dry place Packing: 25kg & 50kg/bag; 20 Tons/20&rsquo;FCL Shelf Life 12 months Min. Order Quantity: 20Tons Supply Capacity: 2000Ton/month Port of Loading: TIANJIN & QINGDAO Fresh Stocks: NO Shipment Time: Within 15 days Payment Terms: T/T 50% + 50% & L/C at sight Origin : China Sample Availability : free samples to supply Main Export Markets: Asia,Europe,Africa,South America, Any questions from you are welcomed,and we will reply you in 24 hours. 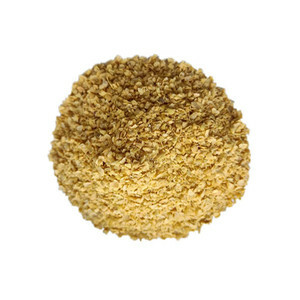 Psyllium Husk Powder is an easy way to add natural fiber to your diet. 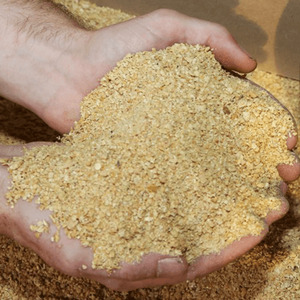 Psyllium husk powder is derived from the seed coverings of the Plantago ovata plant. Psyllium also slows absorption of foods and holds water, supporting healthy, normally formed bowel movements. 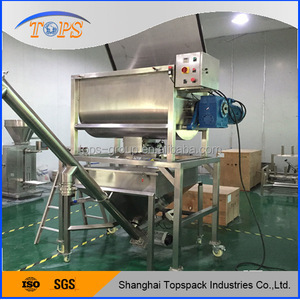 ISO Factory Natural Sesamin Black Sesame Seed Extract Powder Packing & Delivery Packing & Delivery Packing Details : Packed in paper-drums and two plastic-bags inside. Q: Is there a discount9 ISO Factory Natural Sesamin Black Sesame Seed Extract Powder Different quantity has different discount. ISO Factory Natural Sesamin Black Sesame Seed Extract Powder Q5: How do you treat quality complaint9 A: First of all, our quality control will reduce the quality problem to near zero. 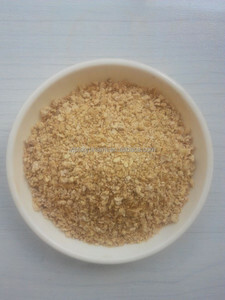 GMP standard Ferulic acid powder 98%Rice Bran Extract with best price! 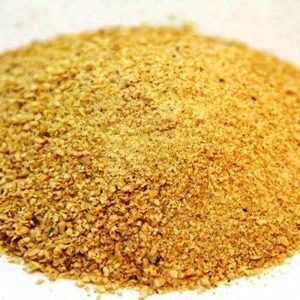 Alibaba.com offers 96 soya powder 46% products. 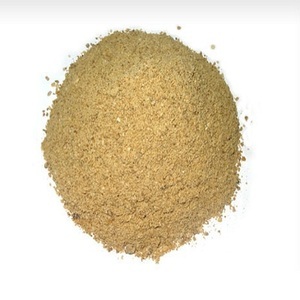 There are 18 soya powder 46% suppliers, mainly located in Asia. The top supplying countries are China (Mainland), Vietnam, and Thailand, which supply 38%, 16%, and 16% of soya powder 46% respectively. 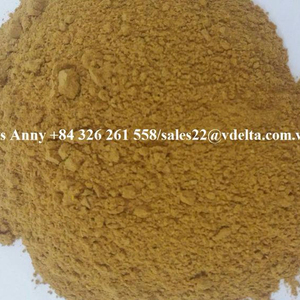 Soya powder 46% products are most popular in South America, Eastern Europe, and Mid East. You can ensure product safety by selecting from certified suppliers, including 2 with GMP, 2 with Other certification.